The PokéNav Plus is the new iteration of the PokéNav which was included in Pokémon Ruby & Sapphire. This time, the PokéNav has received many upgrades thanks to the features of the new hardware upon which these games are released. The DexNav is one of the most important features as it can get you access to a variety of Pokémon. First, it can tell you what Pokémon are in the area you're in. Second, when you're sometimes in an area, you will see a Pokémon's tail coming out of the grass or water. Using the DexNav, you have the ability to use the search to find out data about this Pokémon. Using this, you can find out what ability, potential and if it has a rare move. You can then use the sneaking feature with the 3DS Circle Pad to approach. If you have also seen a Pokémon with the DexNav, you then get the ability to search solely for that Pokémon to make things easier for you. The search feature of the DexNav can be upgraded based upon how many Pokémon species you have found through the DexNav. 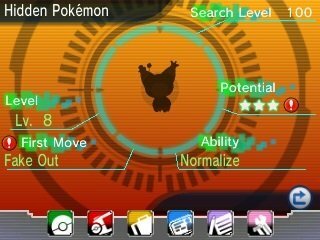 As your DexNav level increases, you get a better chance of getting Hidden Abilities or rare moves. You will also get more details on the Pokémon when you scan it. 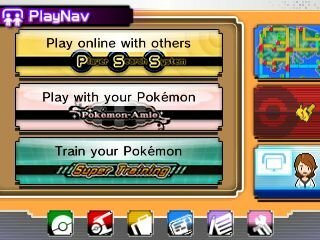 The DexNav has one more feature which allows you to register Pokémon in your Pokédex without battling them. This is done by interacting with them in the overworld in cities. In a ddition to that, you may see flocks, groups or schools of Pokémon in the overworld. This allows you to make sure you have the Pokémon in the Pokédex. 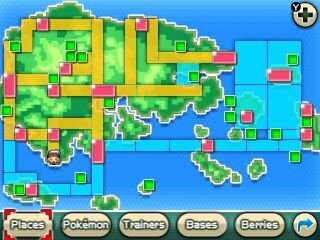 The AreaNav is simply the map of the Hoenn region, but it has more features than a standard map. This time, you have the ability of keeping track of a variety of things. .
First, you can track the Secret Bases that you have accumulated as well as any berry trees and if they're ready to be harvested. The AreaNav also has features that give you details on the cities and routes as well as listings of what Pokémon can be found there. Finally, it also has the return of the Trainer's Eye feature. This lets you check details out for a variety of trainers, including their location and see if they are willing to have a rematch. 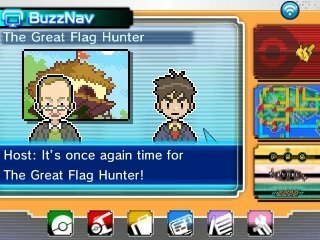 The BuzzNav is a new feature of the PokéNav and gives you access to a variety of special television shows in-game. These shows give you information about various Pokémon, routes and characters. However, it does have a feature used in StreetPass. As you StreetPass more people, you will receive more programmes. The PlayNav is a new feature that brings several old features together. This feature brings the three bottom screen features from Pokémon X & Y back to the fold. First is the PSS. This allows for you to see other players as they are online or locally near you and challenge them to a wide variety of activities including Battles & Trades. It also gives access to the Battle Spot, GTS and Wonder Trade options and the Holo Caster for keeping up with Pokémon news. Pokémon Amie makes a return and has changed very little. It allows for you to pet and play with you Pokémon in order to get a variety of boosts such as gaining more experience and surviving various attacks in battle. Finally is Super Training which allows for you to track the Effort Values you have given your Pokémon, as well as train them in each specific stat.